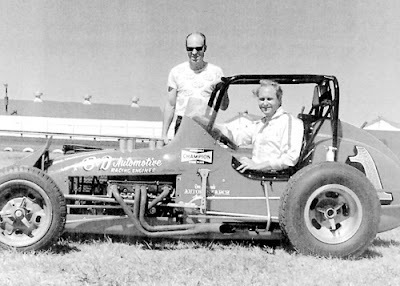 Spencer, Iowa (September 26, 1973) - Three of the cars in the sprint car racing event at the Clay County Fair here last week were Algona, Iowa-owned. Running strong races on the rough and dangerous half-mile dirt track was car #30 owned by Jim and Helen Utt of Utt Electric Service and car #1 and #16 owned by Bill Specht, Daryl Arend and Bob Arend of B & D Automotive Machine. 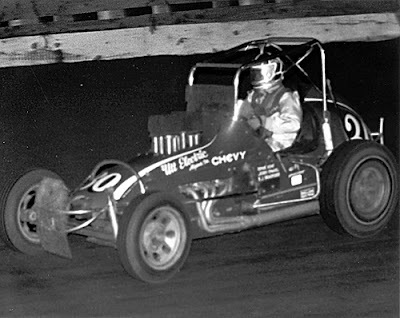 As a result of the Clay County Fair races, #1 moved up into fourth place in the International Motor Contest Association point standings for 1973. 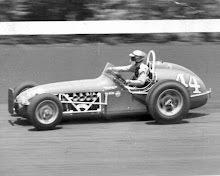 Driver Buzz Rose of Cedar Rapids, Iowa came in second in one heat race and placed third in the more important feature event. Like #1, #30 is also having its best year on the IMCA circuit and now holds down the sixth spot in the IMCA point standings. Larry Kirkpatrick of Wood River, Ill., located near St. Louis, Mo., drives for the Utt’s. B & D put a second car into competition at mid-season this year. 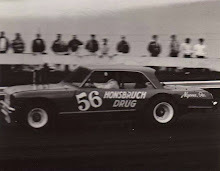 Driving their #16 is Marv DeWall of Jackson, Minn., perhaps best known in the area for his success in stock car driving. 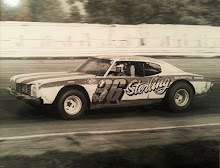 Another car at Spencer was driven by Jim Edgington of Fairmont, Minn., also noted for stock car success. His car was running with a new engine installed by former Algona residents Ron Barton and Roger Hendrickson who now live in Fairmont. IMCA’s point system determines who gets accessory money from automotive-related companies at the end of the season. But even the biggest winners might have trouble meeting expenses for a full season! The answer was unanimous the reward was in the thrill of putting a car together and racing it, not to mention the fraternal-like competition that develops through racing. What about the cost of hiring a driver? Most drivers agree to race for 40 percent of the gross earnings in prize money, Utt said. At Spencer, that didn't amount to much with a purse less than $3,000. The feature winner got only $350 of that total. But the Spencer race is just one stop on a circuit that includes more profitable events. 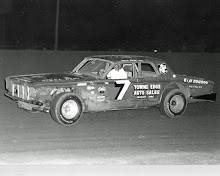 Other races: a series of five season-openers in Florida (the Utt car was in four of them before being disabled). Knoxville, Iowa, Knoxville, Ill., and state fairs in Iowa, Minnesota, Missouri, Nebraska, Kansas and Oklahoma. Utt said this year his car has been damaged more than his driver has, although Kirkpatrick was knocked unconscious in one of “several smash-ups”. As Utt tells it, another car, which blew its engine spilled oil which caused Kirkpatrick to spin out and crash backward into a wall, knocking him out. Amazingly, the incident was minor compared to another crash in the 24-year-old Kirkpatrick's racing career. He nearly lost his hand once in a crash at the Iowa State Fair in Des Moines. 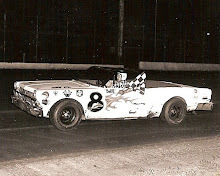 But a “good sew job” and a long, careful recovery period enabled him to return to racing. And all for just 40 percent of earnings which, even at best, are far below what is paid in two other racing associations - USAC and NASCAR. The International Motor Contest Association is by far the oldest of the three.